Are you looking to find out about how to start proofreading as a side hustle? Would you like to make substantial money online without any significant investment? If you are fluent in English and have an ‘eagle eye’ for mistakes in written documents then you are likely a great candidate for proofreading online. You can start freelance proofreading without having a degree or any qualifications. Proofreading can also be a great side hustle that you can integrate as an additional source of income. Many people ask me how to start proofreading as a side hustle, so hopefully this article will explain how to start the process. Disclosure: Please note that some of the links on this page are affiliate links. This means that we may earn a commission, at no cost to you, if you decide to make a purchase after clicking through the link. Please understand that we have experienced all of these companies, and we recommend them because they are helpful and useful, not because of the small commissions that we receive if you decide to buy something through our links. Please do not spend any money on these products unless you feel you need them. FREE MASTERCLASS all about how to start proofreading as a side hustle! What exactly is freelance proofreading? Proofreaders have a very important role in the publishing process! It is a bit easier than the editing process because it does not involves significant changes to the structure or writing in the document. Basically, it is the final polish after everyone else is done with the document. The primary role of a proofreader is to spot and correct spelling mistakes, grammatical errors and inconsistencies in the document. They never change the document in a way that alters the author’s voice or the theme of the writing. This sounds easy, but it can be pretty interesting if the author has an ‘casual’ style with lots of slang etc. This can be hard for the perfectionist proofreader, but they have to leave the style intact. Do you need a degree to become a freelance proofreader? Nope. An English degree is not needed to work as an online proofreader and make money. You don’t even need to have gone to college to study any subject! This is what makes proofreading so great. The skills that are needed are not something you learn in school. Here are the qualities that you should have if you want to enjoy a freelance proofreading career. Enjoy reading a lot. Obviously, proofreading is mainly reading stuff and correcting it. If you hate reading then you are probably not suited to become a proofreader. You can learn a lot from the reading that you do as a proofreader. However, sometimes it will be like watching paint dry. English as your first language. It really helps to be a native English speaker. It is not impossible to become a proofreader if English is your second language but it might put you at a disadvantage! Having a good grasp of the language is essential and can make-or-break a proofreader. Detail orientated. I would make a terrible proofreader as I barely notice anything! Attention to even the smallest details is something that a successful proofreader needs. Without this skill, you will be unlikely to succeed in the profession. Proofreading is one of the best side hustles that you can start for so many reasons. But one of the top reasons is that it costs almost nothing to start a freelance proofreading business! 2. A computer for the same reason as above and to be able to do your proofreading on…. However, there are a few more things that you need to have in order to actually conduct your work as a freelance proofreader. You need access to the Merriam-Webster’s Collegiate Dictionary (you can access it for free online!). Style guide: You also need The Chicago Manual of Style which is the bible for proofreaders! It costs $99 for three years of online access to it. What types of documents does a freelance proofreader work on? Proofreaders work on almost any type of document that you can imagine. Here is a list of some of the most common documents that general proofreaders work on. Where can you find work as a general proofreader? As with any freelance business, finding clients to work for as a freelance proofreader is one of the most important aspect of the business. Many of my friends are freelance proofreaders and they recommend networking on Facebook as one of the best ways to find clients! Many of my friends that do well with proofreading have told me that they find clients in Facebook private groups. These groups are basically collections of people that are all interested in certain topics. I belong to many Facebook groups for bloggers, and they have been crucial to our online business growth. Our suggestion for finding clients for your freelance proofreading side hustle is to join the Facebook communities that might have people that are interested in hiring you. Blogging Facebook groups are a good place to start if you want to work for a online publication or blogging site. 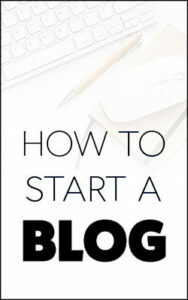 Bloggers are often looking for freelance writers and proofreaders. It is a good place to start as you make connections and find more clients. The most popular freelance jobs sites are a great place to advertise your services as a proofreader. There is a lot of competition on these sites and this often results in people working for a lower rate than they might be getting in a different arena. It is worth trying though as many people find work on these sites. You can try Upwork and Fiverr.com to get started. These sites are good for finding freelancing work and you don’t need to have any formal qualifications. You can also try FlexJobs and Indeed.com. Sometimes the site called Freelancewritinggigs.com posts proofreading jobs. You can apply to work through a company that offers proofreading services to their clients. You will have to jump through more hoops than working entirely for yourself, but it really helps to have them find you work. Here are three of the most popular companies to work for as a proofreader. How much can you get paid as a freelance proofreader? Typically, you can earn anywhere between $20 to $100 per hour as a freelance proofreader. This depends a lot on experience and the type of work that you are doing. Caitlin Pyle is one woman that made a great living as a freelance proofreader. She started working for herself as a proofreader and within a few years she was making about $50,000 a year. She was only working part-time hours to achieve this! She was so successful that she now teaches people how to repeat her success as a work-at-home proofreader. If you would like to learn more about Caitlin and her Proofread Anywhere course, be sure to check out her FREE MASTERCLASS. Caitlin Pyle FREE MASTERCLASS teaches you the skill to start freelance proofreading! The best proofreading course that I have come across is the one mentioned above. Proofread Anywhere is extremely highly regarded in the industry and many of Caitlin’s students do extremely well after they finish the course. Here is an interview with one of them called Katie. Caitlin’s course is aimed at novices that want to learn how to start proofreading as a side hustle. The course takes students through the whole process that Caitlin used to make money as a general proofreader. If you are serious about starting to learn how to start proofreading as a side hustle (or full-time gig!) then you will benefit massively from her Proofread Anywhere course. I hope that this article has given you some useful information about how to start proofreading as a side hustle. I think that it is important for people to realize that while proofreading is a way to make money online with very little investment, it is a business that takes time to build. Finding clients can be tricky and take significant effort. But if you are hardworking and patient then proofreading will pay off. You will not get rich from becoming a freelance proofreader, but you will set yourself up with a skill that will allow you to work anywhere in the world. You will be able to set your own hours, work from home and spend more time with your family. While some proofreading jobs can be stressful (to meet a clients deadline), it is generally a pretty laid back job. You can learn a lot with all the reading you do! Finally, there will most likely always be a demand for freelance proofreaders. As long as there is written documents we will need someone to proofread them for us. P.S We didn’t hire a proofreader for this article, so please point out all the mistakes in the comments below! Did this article help you to learn how to start proofreading as a side hustle?